Since losing at Real Sociedad in their first game after the winter break, the Blaugrana have racked up nine successive victories in all competitions, with Messi playing a key role in that remarkable run. The Argentina captain has scored 10 goals and created seven others during Barca’s winning streak and Mascherano says Luis Enrique’s men have to do everything they can to help their talismanic No.10 extend his purple patch. “When Leo shines, the team always grows stronger because he is a player who gives you so many things, We must make the most of the good moment he is in and follow him like the footballing leader that he is. We had a very good start to the season. Then came some slip-ups. But now we’re back on the path we started on and we want to finish our season in the best way.” the versatile defender told Rac1. Barca will be looking to make it 10 wins in a row when they host Villarreal in the first leg of their Copa del Rey semi-final at Camp Nou on Wednesday evening. Mascherano, though, is taking nothing for granted, given how well the Yellow Submarine performed in a 3-2 loss in Catalunya on February 1. “They are a good team and they have already show us at Camp Nou what they can do, A bad game can arrive at any time, so we must try to continue increasing our confidence. We have to just think game by game. Our goal is to get the end of the season still fighting for every title.” the former Liverpool man added. According to various sources, an update to FIFA 15 is due to come out on Feb. 14, or thereabouts. In the update, Orlando should be made a playable team with updated rosters and such. 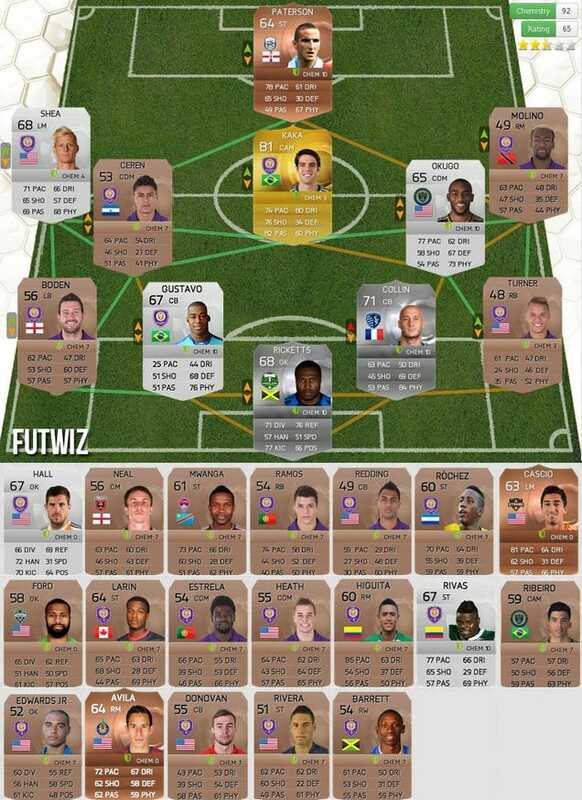 In the same update, all the Orlando players currently on the roster should be added to Ultimate Team as well. But why wait until then to see what the team looks like? As I did about a month ago, I created a fancy design model with all the players on the team at the time, which was only 18 players. Now the roster stands at 30 players and, thanks to futwiz.com, I made an updated graphic of what the roster will look like this year, complete with all the player ratings directly from the game itself. Overall, it’s a solid roster for a first-year team. Kaká is still the only gold player on the team, however defender Paulo André would have been another gold with a 75 rating, but he will no longer be signing with Orlando. A good number of silver players (any player rated 65-74) are sprinkled throughout the team, including Brek Shea, Amobi Okugo, Aurelien Collin, Donovan Ricketts, Tally Hall, Gustavo and Carlos Rivas. The rest of the roster is rounded out by bronze players, who are 64 rated and under. Most of the bronze players, however, are either quite young, or new to the video game itself. For example, Kevin Molino was given a rating of 49 by FIFA 15. This is probably because he hasn’t been in a FIFA video game before and they just assigned him a number. In the case of another USL Pro player, Luke Boden, he was a 56 rated midfielder with Sheffield Wednesday back in FIFA 11, so his rating just carried over. A few players, however, are still not anywhere in the game. These would include all five draft picks from the SuperDraft, as well as Bryan Róchez. I went ahead and took the initiative of giving them random ratings because, in the end, that’s probably what they’ll do anyways. All five of the draft picks’ ratings will hover somewhere between a 64 and 48. These ratings, including Róchez’s, will change for sure, so take them with a grain of salt. The Lions roster is still not 100% complete yet, though. After failing to come to an agreement with Paulo André, Orlando may still add a veteran center back to the roster. Also, a few of the guys you see on the roster now may not make it to opening day. At least four of them will be sent to their USL Pro affiliate, Louisville City FC, but that’s the only thing for sure right now. Folks, you may not be happy with some of the ratings the players got and I’m right there with you. Just remember, it takes them a while to translate real performance ratings into the game. Heck, even after Dom Dwyer had his breakout year in 2013, it took them until midway through the next year’s game, FIFA 14, to update his stats to reflect his growth. For now, just look forward to Feb. 14 and get ready to score some goals with Orlando City. And you can buy some FIFA 15 Coins, which can help your Orlando City obtain more power and prestige! EA Sports FIFA has been astonishingly fast with updating FUT 15 transfers and today is no exception. The fifth batch of winter transfers was released yesterday, Deadline Day, as many transfer windows closed across Europe. Colombian star Juan Cuadrado was undoubtedly the biggest transfer of the window and now we await the update of additional FIFA 15 FUT transferred players. You can see confirmation of the players already transferred in EA’s Google Doc here. With an 83 rating, those lucky enough to pick out Cuadrado will be getting an awesome player who has 93 for pace and 5-star skill moves. Overall though, most will agree that this transfer window was not very exciting compared to past years. Let us know if you have already picked up a Cuadrado card for Chelsea on FIFA 15 FUT and what you think of him in the game. You can buy FIFA Coins to get them, Their performance will not let you be disappointed! The winter transfer deadline day wraps up in a couple of hours and EA Sports have released something even more exciting than real world transfers! Earlier EA revealed on their Twitter page that they have released a number of the FIFA 15 Ultimate Team Team of the Year players for loan. Now, this will only be for a short period of time. This year’s TOTY Ultimate Team release featured in-form players with the highest ratings ever! Cristiano Ronaldo is rated at 99 and Manuel Neuer is rated at an unbelievable 96. Wow. The transfer deadline has been more or less mundane thus far and we can thank EA for providing an exciting January. EA decided to treat gamers with some IF form players available for a 50-game loan spell to spice up Deadline Day. Now we await the winter upgrades. We are not sure if EA will release the complete squad in Ultimate Team, but we are sure Ronaldo, Messi, Robben and Toni Kroos will be available. Don’t waste your times, Let’s buy cheap FIFA 15 Coins at the fifacoinsfut.org now! Check back Full FIFA in a couple hours for January upgrades! We’ve built a loyal following over the years which has seen our customers benefiting from our economies of scale. This has enabled Fifa Coin Store to provide a unique trading platform where our clients have access to secure online payment systems to buy, sell and trade Fifa 15 coins. Our fifa coins store is a professional site which supplies Cheap FIFA Coins, FIFA Ultimate Team Coins. We’ve built a strong reputation around our excellent quality of service, fast delivery and competitive pricing on FIFA 15 Coins. 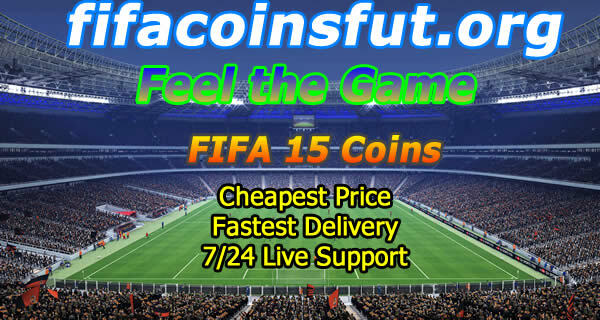 Buy FIFA 15 Coins From our store, you will enjoy best quality of Consumer Services. We have professional team for supply FIFA 15 Coins service, we have 24/7 service, and customer service stuffs have experienced necessary trading before working. We also have live-chat service; You can talk with customer service stuff anytime. Since we have professional service team, we guarantee that we will finish goods delivery in five minutes (except for exceptional circumstance). You will enjoy a unique and quick delivery experience. We are official agent of FIFA Ultimate Team Coins, and we follow the rule that cheaper price brings more business. Therefore, price of FIFA 15 Coins for PC on our store is cheaper than others. 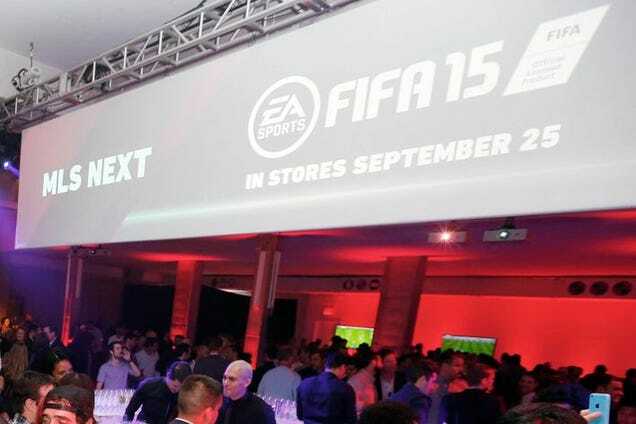 Yes, It’s best time to buy FIFA 15 Coins if you are a fan of FIFA 15 and if you want to buy cheap FIFA 15 Coins. A FUT 15 Happy Hour (24 hour pack offer) is LIVE worldwide with Premium Gold Players 25K packs available in the store until 6pm (UK time), January 31st 2015. TOTW 20 in-forms (including SIF Neymar & SIF Sneijder) are currently available in packs! If you would like to speak LIVE with other online FUTers, head over to our FUT Chat feature! Managed to get yourself an in-form or a top-rated player. 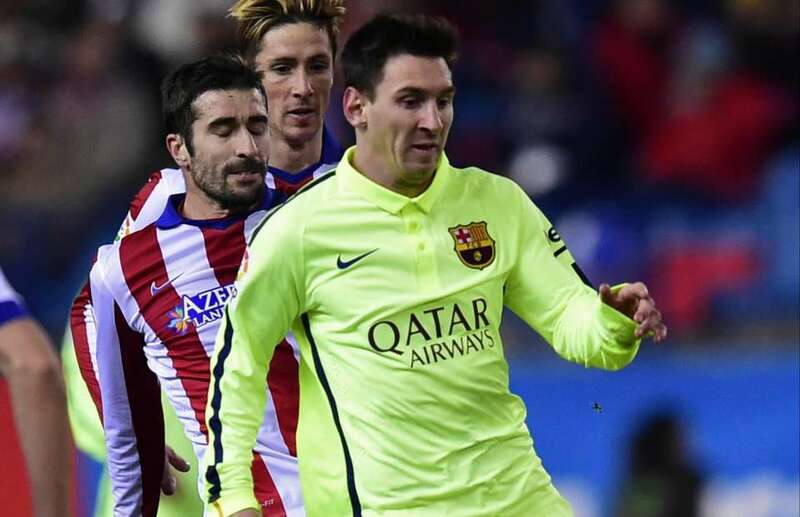 Atletico Madrid boss Diego Simeone believes that Lionel Messi is better than Cristiano Ronaldo, Gareth Bale and Karim Benzema combined. Simeone’s side were dumped out of the Copa del Rey last night at the hands of Barcelona, although in a rare off-night the Argentinian didn’t manage to get on the scoresheet at the Vicente Calderon. Instead it was Neymar who did most of the damage, scoring twice after Fernando Torres had fired the home side into an early lead and levelled things up on aggregate. An own goal from Miranda after Raul Garcia had scored from the penalty spot on the half-hour mark sealed the deal. Messi recently lost out to Ronaldo in the race for the Ballon d’Or, but Simeone believes that he isn’t just better than the Portuguese ace; he’s better than Real Madrid’s much-vaunted front line, christened the ‘BBC’.